Kyle Abbott (shamisen), with Rome Hamner and Kristin Block on shimedaiko and fue. which was also performed at many of the camps during World War I.
which was also performed at many of the camps during World War II. and you can learn how to fold paper cranes. 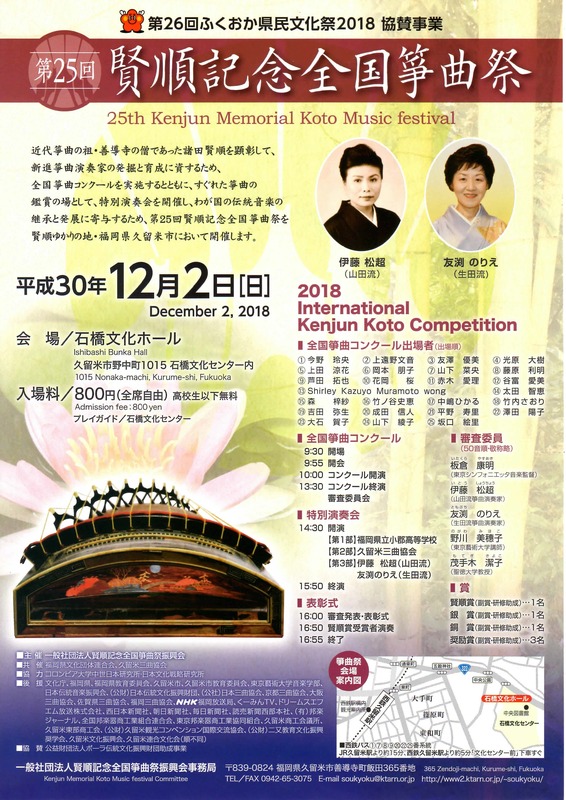 25th Annual International Kenjun Koto Competition this year! This is the first year they have opened the competition for those outside of Japan. Shirley is the only one of the 25 finalists to be selected from outside of Japan! Taught by Shirley Kazuyo Muramoto-Wong.